It never fails that at any German Shepherd Rescue OC event, someone comes up and asks about German Shepherds and shedding. 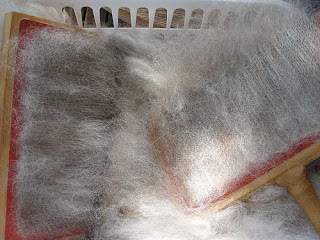 Several people suggested this as a blog topic … so here it is-Yes, German Shepherds shed like crazy…and they are worth every single hair that falls on your floor, sticks to your clean black pants as you head out to dinner or goes down your throat one second after you realize you have a big ole German Shepherd hair in your mouth. Get your dog professionally groomed or invest in a high powered pet blower that will help blow out the coat. 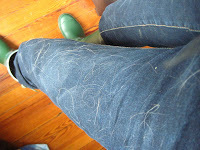 We do not EVER recommend shaving a German Shepherd to reduce shedding. These dogs need their coats and it is not healthy (or becoming) to shave them. You wouldn't shave your head instead of brushing your hair, right?